One of these important decisions is the location of your wedding. In your list of destinations that you are considering, Santa Marta, Colombia should be among them. Santa Marta has recently grown in popularity for wedding destinations and tourism. There are many things to consider when planning weddings in Santa Marta. 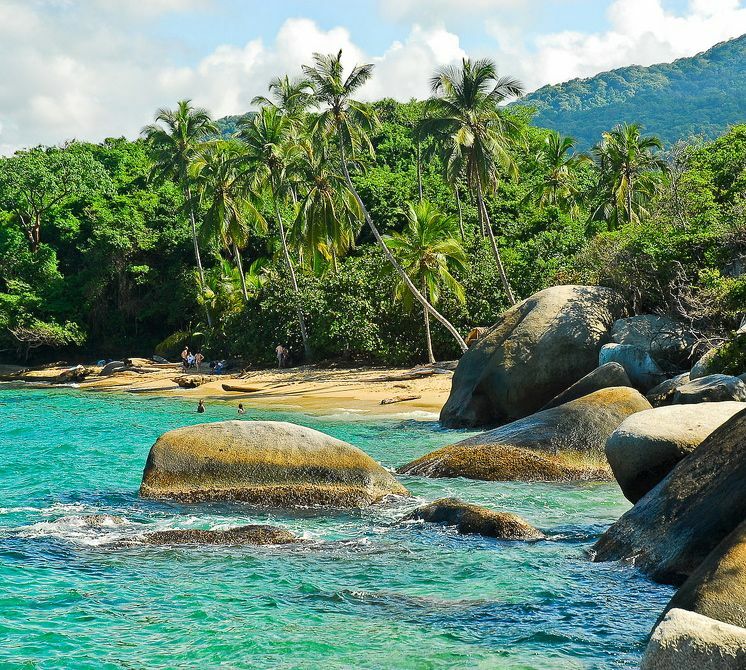 Santa Marta is surrounded by the most beautiful natural parks and paradise beaches. The city is Colombia’s oldest surviving city and it was the first settlement of the Spanish. It is also the second oldest surviving city in all of South America, dating from 1525. Santa Marta offers lush tropical forests at National Tayrona Park, where the green vegetation meets the white sand beaches and turquoise waters. This scenery makes for the perfect setting for any weddings in Santa Marta. Your guests will surely enjoy the combination of the beach and the jungle. The weather in Santa Marta is perfect for a beach wedding. Hot temperatures and cool ocean breezes combine for great comfortability for you and all of your guests. This is one of the many reasons why people have weddings in Santa Marta. Remember you are on the coast, so dress accordingly. Typical beach Colombian weddings do not require suit and tie dress codes. The men dress in soft colors specifically in white. The ladies wear almost about anything to look beautiful, but never white, that color is reserved for the bride. Santa Marta is on the coast of Colombia hugging the Caribbean Sea. Your Caribbean style wedding will be a wedding to remember for ever. Almost something out of a movie. Another reason to choose Santa Marta as your wedding destination is because of the flowers in Colombia. Colombia is number one in exporting flowers. The exotic flowers of Colombia will make your wedding unique and more beautiful. It is rare and difficult to find exotic flowers anywhere else. Plus having the wedding in Colombia will cut down on the floral arrangement costs, which is an awesome benefit. Finding or suggesting accommodations for your guests is really easy because there are so many in Santa Marta. 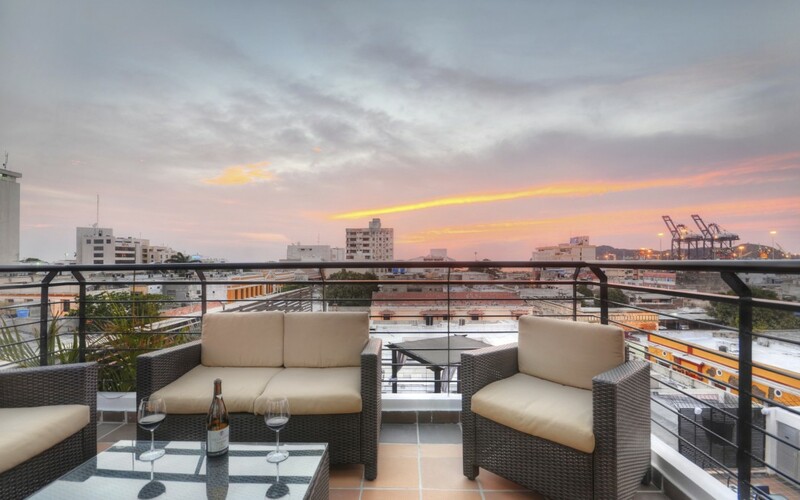 One hotel in Santa Marta is Hotel Boutique Casa Carolina, which walking distance to all the restaurants and trendy cafes in the city and short cab rides to the beach. Hotel Boutique Casa Carolina a luxurious hotel in Santa Marta, Colombia. 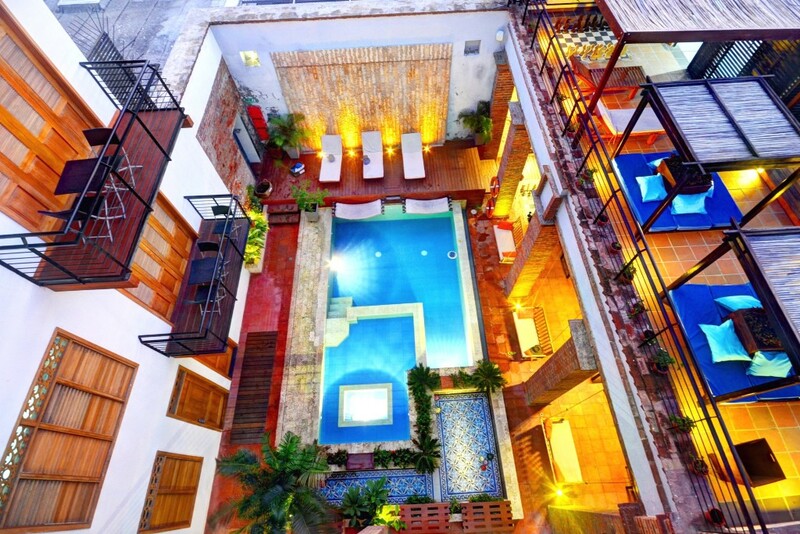 Casa Carolina is located in the Historic Centre of Santa Marta. Casa Carolina is family owned and managed by a Santa Marta/English couple, accompanied by a talented local staff. Contact Casa Carolina for more information about visiting Santa Marta or planning weddings in Santa Marta.